The substantial savings comes just weeks after the CMS proposed overhauling the program, claiming it wasn't generating enough savings. The CMS has argued that ACOs aren't moving quickly enough to risk-based contracts, which is costing Medicare money. The agency lost $39 million to the program in 2016 because it had to pay out more in bonuses than the ACOs generated in savings. At that time, 95% of ACOs remained in Track 1, which doesn't require the providers to take on any downside risk, so they aren't on the hook for penalties if they miss their targets. Most ACOs in 2017 remained in Track 1, but the CMS reported savings thanks to more experienced ACOs and more ACOs joining risk-based contracts , according to David Muhlestein, chief research officer at Leavitt Partners. "Over time, we (ACOs) are learning how to better care for the population and manage them," he said. Of the 472 Medicare ACOs, 433 — or 92% — were in Track 1 in 2017. Just 1.3% were in Track 2, while 7% were in Track 3. 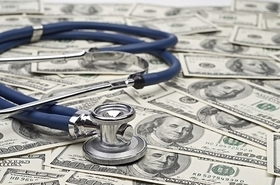 In tracks 2 and 3, ACOs must pay back any losses to the CMS. ACOs with more experience were more likely to generate savings for Medicare. ACOs in the program since 2012 — the first year — earned $291 million in savings and the CMS saved $87 million. By comparison, ACOs that joined the program in 2016 earned just $46 million in savings while the CMS had to pay out $80 million in bonuses to those ACOs and lost $34 million. Additionally, 51.3% of ACOs in risk-based models received a bonus, while just 32.8% of zero-risk ACOs did so. "The longer you are in the program, the more likely you are to receive bonuses," Muhlestein said. "These are the ones who have stuck around and focused on transforming the delivery of care." The agency's plans to scrap the Track 1 pathway is expected to cause a large number of organizations to leave the program. Doctors under this track face no downside financial risk. "Some people might drop out and that could be okay," Adam Boehler, director of the Center for Medicare & Medicaid Innovation, said in a roundtable talk with reporters Thursday. "Our job isn't to have a lot of ACOs. Our job is to improve performance by reducing costs and improving quality of care." The savings the program generated renewed calls that ACOs shouldn't be forced to take on risk and Medicare needs to give ACOs more time. "Today's results show what we have been saying for years — that ACOs are saving Medicare hundreds of millions of dollars, and given sufficient time, one-sided ACOs will return significant savings to the trust funds," said Clif Gaus, president and CEO of the National Association of ACOs, in a statement. The CMS estimates that 107 ACOs will exit the program by 2026. The number could be much greater according to industry estimates. Among those that first entered MSSP in 2012 or 2013, 82 ACOs that would be required to renew their participation agreements to enter a third agreement period beginning in 2019. This past spring, the National Association of ACOs surveyed those 82 ACOs and found 71% said they are likely to leave the MSSP if forced to take on more risk. Boehler said he believes some practices will step up to the challenge of taking on risk and said the proposed changes are an important step to get value-based pay arrangements to start generating meaningful savings for Medicare.